Product prices and availability are accurate as of 2019-04-19 20:36:27 UTC and are subject to change. Any price and availability information displayed on http://www.amazon.com/ at the time of purchase will apply to the purchase of this product. 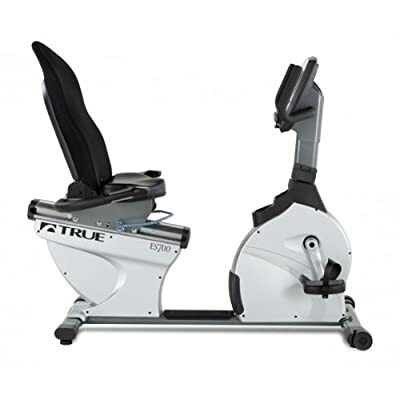 The ES700 Recumbent Bike with the Emerge Console features 8 preset workout programs. Polar Wireless Heart Rate Monitoring Fatigue Resistant Elastic Mesh Seat is custom engineered for optimal comfort, enhanced lumbar support and long usage. TRUE HRC Cruise Control allows you to lock in on your targeted heart rate and automatically maintain your target heart rate for the duration of your workout. Convenient thumb control switches are located on the Contact Heart Rate handlebars and allow you to easily adjust your workout intensity at the touch of a button.